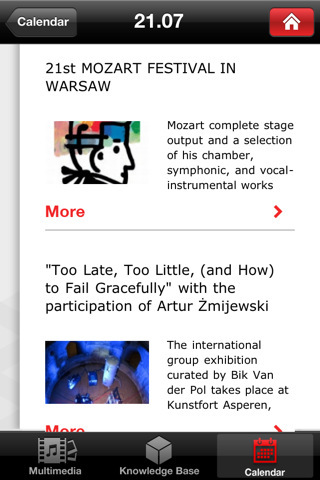 HOT Culture was created in association with the Adam Mickiewicz Institute in Poland to provide an up-to-date resource for Polish cultural events and news around the world. 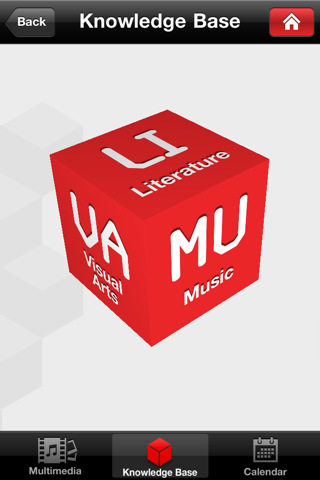 A free app and universal iOS download, HOT Culture provides a host of information on Polish culture, including Music, the Visual Arts and Literature. There is a multimedia gallery where you can access new images and videos from Polish cultural events such as concerts, films and art exhibitions as well as an interactive calendar where you can find out what is happening today, tomorrow or next week. The interface is artistically simple as well as easy-to-use, with large buttons providing no-hassle navigation throughout the app. A quick-update system ensures that you always have the latest information and is an essential part of getting the most from the HOT Culture service. 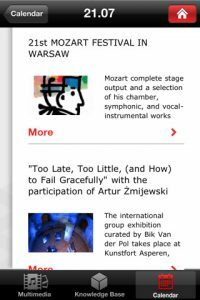 The app can be read in both English and Polish, and all of the content within the app is also available from the website – HotCulture.pl. Bottom Line: HOT Culture is an elegant and easy-to-use app that provides a great way to keep in touch with Polish culture, wherever you are in the world. HOT Culture is compatible with iPhone, iPod touch, and iPad. Requires iOS 4.0 or later.